Taco Bell knows what the people want — and they're here to make your wedding dreams come true with the launch of their Taco Bell-themed wedding accessories. 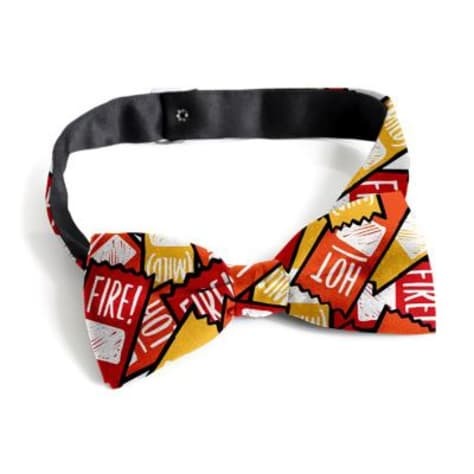 To celebrate the one-year anniversary of its flagship Las Vegas Cantina Restaurant, the über-successful fast-food chain released a mister shirt and a missus tank, a sauce packet bow tie, a sauce packet garter and a Champagne glass set — all of which you can buy online at Taco Bell's Taco Shop. "The idea of enabling some of our most fervent and creative fans to express their love (for each other and tacos) with a Taco Bell wedding was certainly our idea of matrimonial bliss. However, the desire we have witnessed this year for Taco Bell weddings has exceeded all our expectations," Marisa Thalberg, chief brand officer of Taco Bell, said in a press release. "In just one year, we have had over 60 couples, averaging more than one per week, tie the knot with us at our Las Vegas Cantina. And as we round this anniversary, we are excited to make future ceremonies even bigger and better than before." Taco Bell renovated the wedding chapel, doubling the size of its party room so those traveling from afar to get married can bring twice as many guests as before. Plus, they're adding 25 more ceremonies to their calendar this wedding season. 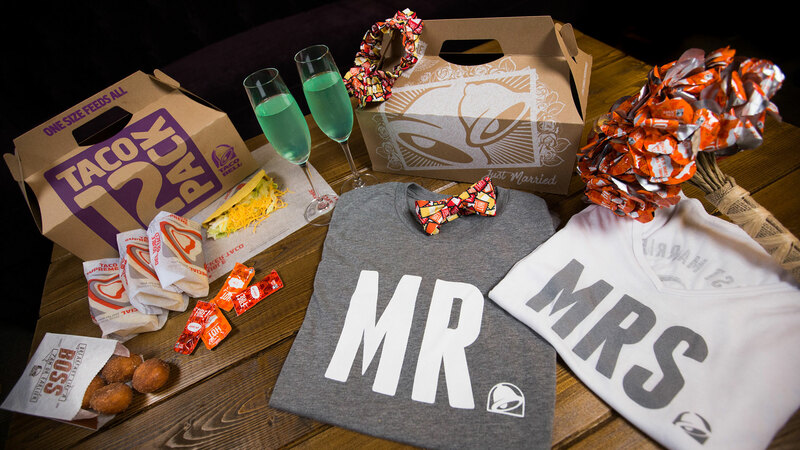 In case you were ever curious about what exactly a Taco Bell wedding entails, you can expect all the following as part of the wedding package: a Taco Bell garter, bow tie, sauce packet wedding bouquet, "Just Married" T-shirts, Taco Bell Champagne flutes, a Cinnabon Delights wedding cake and, of course, a taco 12-pack.